Give the koto player some. THE SCENE: During the 1960s bandleader and composer Dorothy Ashby surpassed the novelty of being the only female jazz harpist by showcasing her fluid dexterity and harmonic syncopation across nine jazz albums. But for her tenth album she jettisoned her harp for an even more surprising instrument, the koto. The thousand-year-old national instrument of Japan, the koto is six feet long, has 23 strings, and had never been so prominently exhibited in western music until her culture-hopping opus The Rubaiyat Of Dorothy Ashby. Inspired by the 11th century Persian poetry collection The Rubaiyat Of Omar Khayyám, Ashby lights a thick incense vapor of Arabic plucks, romantic strings, and funk percussion, seamlessly fusing cross-cultural melodies of the 1970s with the 970s, bathed in psychedelic and spiritual overtones. “Myself When Young” unfolds like a spy movie theme song, as its dramatic snake charmer opening slithers its way into a Shaft-like escapade of funky flutes and villainous violins. The lush Jamaican dance of “Wax and Wane”, swollen with with strings Ornette Coleman would love, plays out warm and crisp like an October dusk. Nor will all your Tears wash out a Word of it. At long last, Ashby had created a unique masterwork that showed the world the depth of her talents. THE FALLOUT: Depth, shmepth. It was a critical sensation within jazz circles, yet this koto-led concept album about 11-century Persian poetry did not find a large audience and fell out of print for decades, becoming Ashby’s last album as a bandleader. Interestingly enough, the very next year a band featuring her labelmate Maurice White also released an album with cross-cultural melodies, psychedelia and spiritual overtones plus firework bursts of watery kalimba, 1971s’ Earth, Wind & Fire. Judging by that groups’ success it seems Dorothy Ashby may have been on to something. 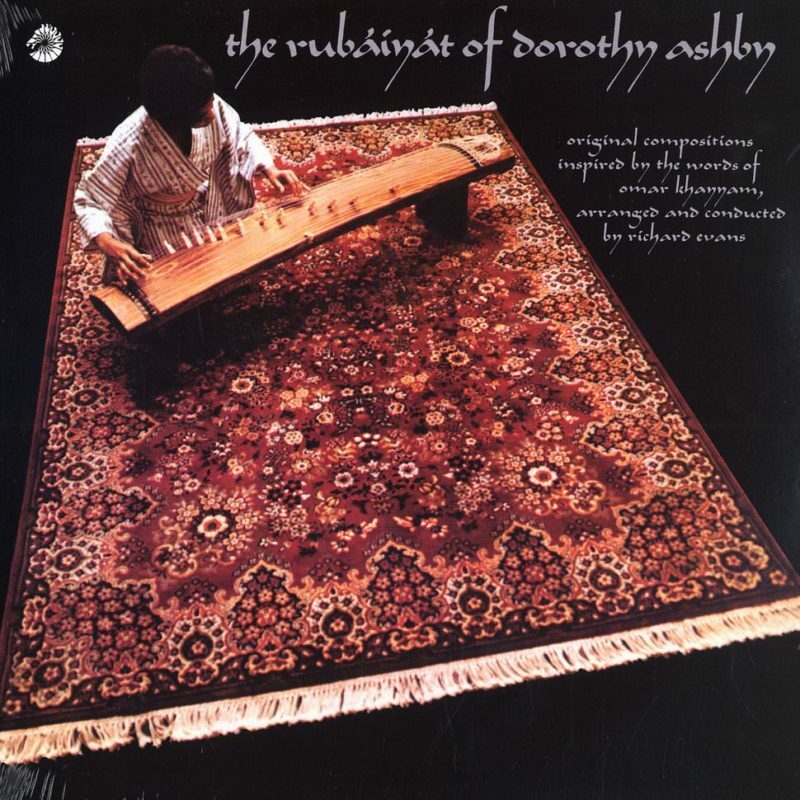 So far ahead of time it still sounds current, The Rubaiyat Of Dorothy Ashby makes the exoticness of globalization feel as down-home as the koto next door. NEXT WEEK: Linda Perry gets grounded.